The fifth Humanity Lunch Table hosted by The Next 48hOURS at Artscape on Women’s Day was once again a success. 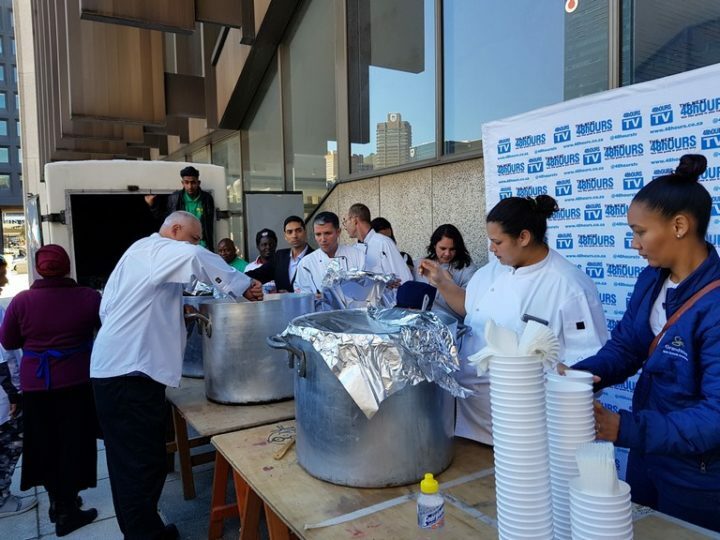 This year a total of 4270 hot meals were served to all those that attended the Artscape Women’s Humanity Arts Festival. This year’s festival attracted attendees from across the Cape Metro as well as areas such as Atlantis, Paarl, Wellington and even a group of women from Ceres who made the journey by train. It was a day filled with entertainment, talks, exhibitions and the Humanity Walk, organized by Women Zone. Alderman Patricia De Lille joined in the Humanity Walk leading the way and in her speech addressed many issues women face and really encouraged women to stand together and not be complacent. Lunch is always the big attraction at the festival and editor Naushad Khan and his wife Roxanne Khan put together a lunch that offered a choice of a chicken biryani or a vegetable biryani, fresh fruit and cold drinks for all. Says Naushad Khan, “It requires many hands to make this lunch possible and for that I would like to thank all our friends and supporters who stepped up and raised their hands to help in some way. 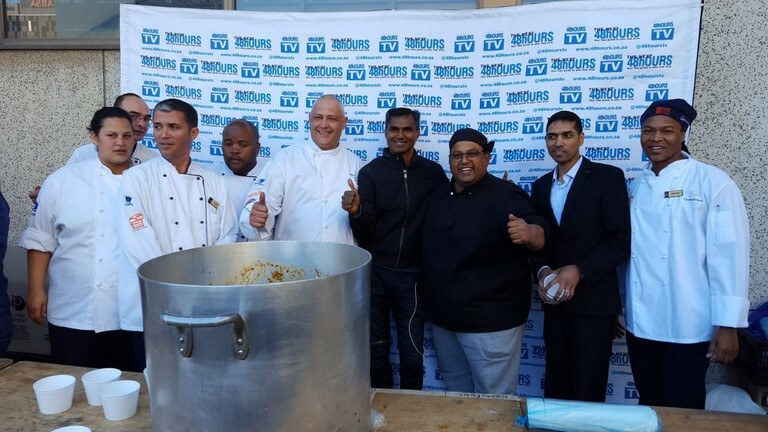 Special thanks to Grandwest CSI and Mr Mervyn Naidoo for his continued support for this annual lunch. Your contribution is a major part of making this lunch a success. Thank you to Brimstone Investment Corporation Ltd and Mr Nisaar Pangarker for your kind and consistent contribution for the Humanity Lunch Table. The team at CTICC, Chef Roberto and his team who make sure that the meals are prepared and delivered on time, THANK YOU GUYS. This year you prepared 300kg of chicken, 200kg rice, 350kg of veggies and a whole lot of spices, butter and love. The food was delicious and on time. To Paarlcoldset and Tygervalley Centre we say thank you and value your support always.